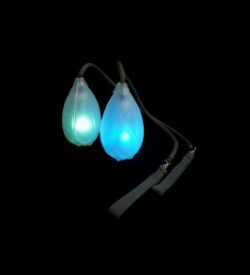 LED Hoop – Flamebuoyant Productions, Inc. 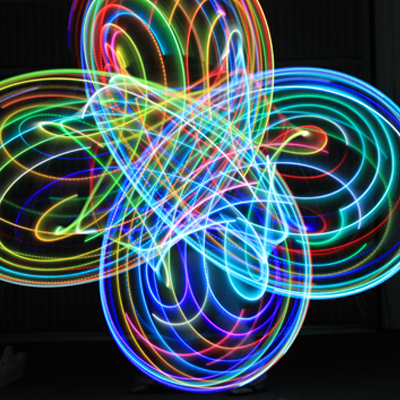 These 38″ diameter 30 LED hoops use two CR2 camera batteries. Color-changing hoops will run for 24-36 continuous hours before requiring a battery change. And when the time comes, you can find the batteries at any local store. 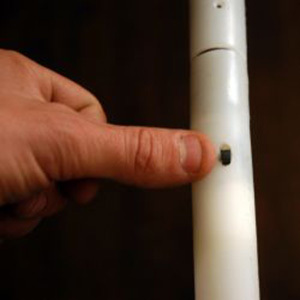 Hoops are made from HDPE 3/4″ ID, 160 PSI tubing. LED hoops coil down in a snap for travel, you can make it small enough to fit into a suitcase! The dark area is just the space required by the connector and the battery pack – about 7 inches in a full size hoop – but is not visible when the hoop is spinning. 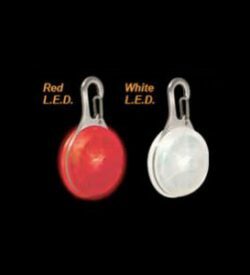 Your hoop carries a ONE-YEAR WARRANTY on the internal workings of our LED hoops. Avoid hooping on concrete. It’s rough on any hoop — it can be violent to an LED hoop. Your switch is plastic and your hoop is electronic. 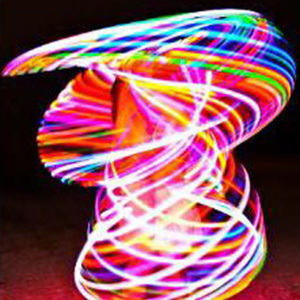 You should learn new movements on your favorite day hoop and transfer them to your LED hoop only when confident. Avoid throwing and dropping your hoop as much as possible. STORING YOUR HOOP. Heat softens the tubing of your hoop. You won’t want to leave your hoop in the car during warm temperatures OR store it hanging. Ideally any hoop should be stored laying flat in a climate-controlled area. LED hoops should also be kept away from water. Taping down the switch when not in use will help you avoid accidentally turning it on and draining the batteries. CHANGING YOUR BATTERIES. 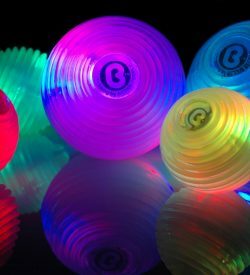 Your hoop is powered by two CR2 camera batteries A battery change is required when a color-changing hoop begins to glow red for an unusually long time- red takes the least power. To change your batteries, just undo the screw at the connector and slide your hoop open to reveal the battery pack. 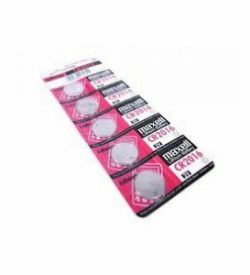 Remove the surrounding band, replace and re-tape the batteries just as you see them, end to end. Copper to positive, silver to negative.